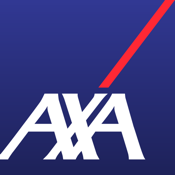 The AXA Assistance app gives you quick access to our breakdown service. If you have broken down in the UK you can pinpoint your exact location, by GPS, which will help us reach you quickly. If you are already an AXA Assistance policyholder you can input your policy details so they are close at hand should you have to call us. Don't worry if you are not a policyholder, with our immediate cover option we can still help should you breakdown. UK Traffic updates – use our app to identify your current location and then view any traffic problems to help you plan your journey. Driving Advice: Stay safe on the roads with some useful driving advice and car maintenance tips . Feedback: rate us on our service and provide feedback on our app.